Our hotel is located in Warners, New York just 1 Mile west of Syracuse. 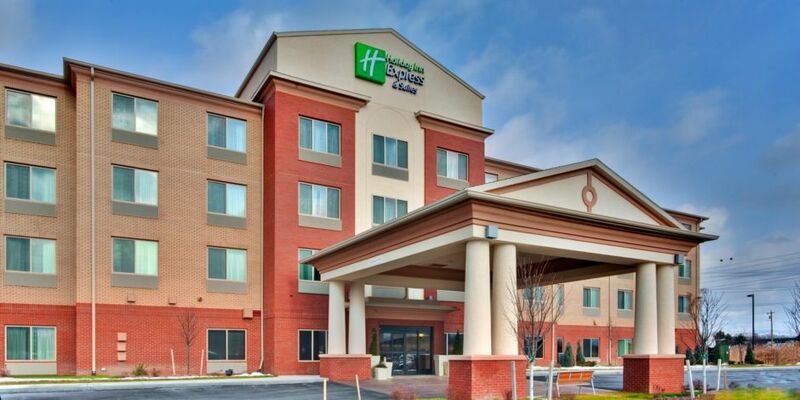 Our hotel is conveniently located only 1.5 Miles from I-90 (NYS Thruway) exit 39 and only 1 Mile from I-690. This makes commuting in and out of the city of Syracuse extremely convenient. We are located just 13 short miles from Syracuse Hancock International Airport (SYR) and 10 miles from Syracuse’s Amtrak and Bus Station. Looking to do some shopping? We are a short 4 mile drive from New York’s largest mall; Destiny USA. With over 250 places to shop, dine and have fun; everyone will find something for themselves. Our hotel is located 1.5 miles from St. Joseph’s Lakeview Amphitheater. The “AMP” brings in national recording acts all throughout the summer. You can’t get much closer for a place to stay then us! 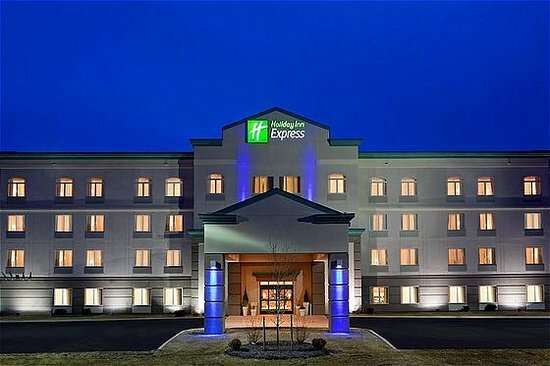 Conveniently located just off I-690, the Holiday Inn Express & Suites, East Syracuse-Dewitt is the perfect location to any destination in the Syracuse area. Situated in Widewaters Corporate Park, we are a stone’s throw from Community Bank, Suburban Propane, ARCADIS and Carrier Circle. 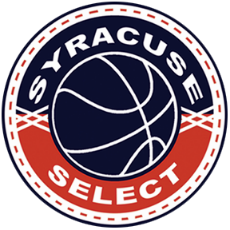 Anyone visiting Syracuse for pleasure will find a range of fantastic sights and activities to enjoy, including Destiny USA, Syracuse University, Lemoyne College, Lakeview Amphitheater, NYS Fairgrounds, the Everson Museum of Art, the M.O.S.T., the Rosamond Gifford Zoo, and the Carrier Dome. You will also have easy access to the Syracuse Hancock International Airport (SYR), Upstate Medical Center and the Regional Transportation Center. With the perfect blend of modern décor and a welcoming staff you will feel right at home. 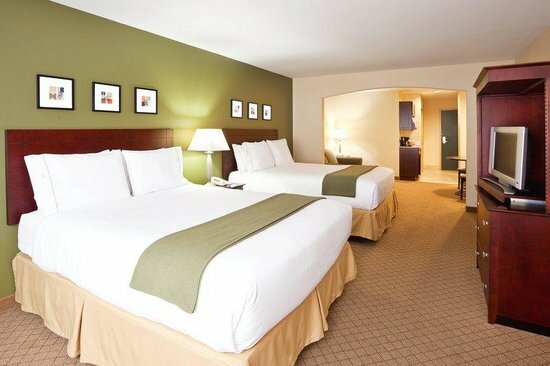 Each guest room features luxurious “Stay Smart” bedding, 32” HD TVs, high-speed internet access, mini-refrigerator and Stay Smart complimentary toiletries. If you need more space, our suites feature an expanded sitting area with a sofa sleeper, and a small kitchenette with a microwave and refrigerator. 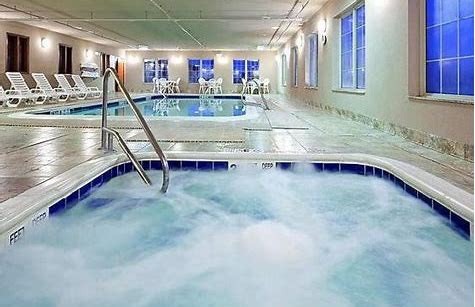 All hotel guests will enjoy access to our heated indoor swimming pool, fitness center, 24-hour business center, and high speed wired/wireless internet throughout the hotel. Each morning a deluxe hot complimentary breakfast, featuring our signature cinnamon rolls, is served in our great room. 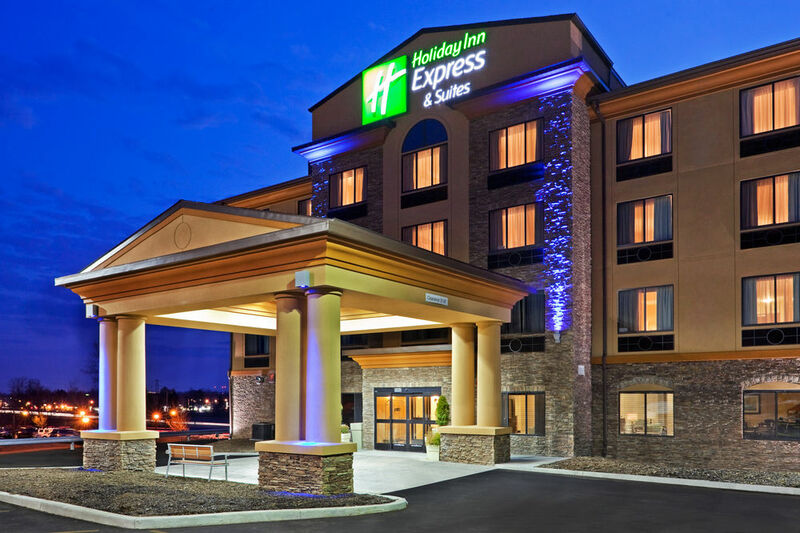 The Holiday Inn Express Syracuse North – Airport Area hotel is situated right off I-81, with easy on/off access to the crossroads of Central New York, including US Rt. 11, Rt. 481, and the NYS Thruway. Flying via Syracuse Hancock International Airport(SYR) – we are just 12 minutes door-to-door and provide pre-scheduled shuttle service daily. Coming to town for entertainment, be sure to visit the nation’s 6th largest mall, DestinyUSA, the New York State Fairin August, or cheer on the Orange at Syracuse University’s Carrier Dome– home to top college football, basketball, and lacrosse programs. Our hotel’s location is convenient for corporate guests looking for quick passage to their work destinations, including Adesa Car Auctions (1 mi), Schneider Packaging (6 mi), SRCTec (5.5 mi), Pepsi/Clinton’s Ditch (.3 mi), The Fulton Companies (27 mi), IBEW Training Facilities (3 mi), as well as numerous RV, car, and boat dealers. You’ll sleep well in our spacious rooms and wake up to a delicious meal at the complimentary, hot Express Start Breakfast featuring eggs, meats, bagels, fresh coffee, and more. Plus, with free WiFi, a 24-hour fitness center, and an indoor pool, we are sure to be your choice for all of your accommodation needs!